AISI Youth Alliance has successfully implemented the Training Course “Tools for promoting youth entrepreneurship”. The training reunited 30 youth workers coming from Armenia, Georgia, Italy, Moldova, Spain and Ukraine. The event took place between 18 of February and 3 of March in Telavi, Georgia. 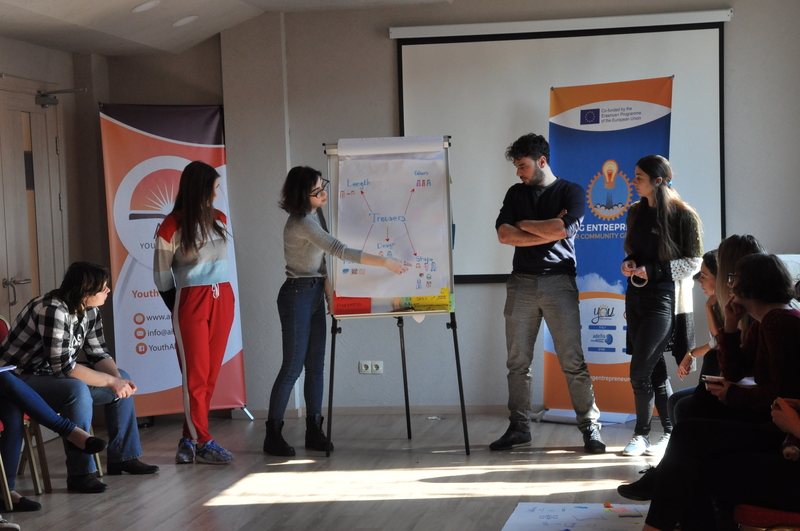 The main objectives of the training were to develop participants competences for facilitating individual and group learning processes and skills needed to design training programs based on the principles of non-formal education and to create methodologies for workshops that provide youngsters with entrepreneurial competences. The training was an intense and transformational experience for everyone involved: participants, trainers, organisers. The training was facilitated by experienced trainers in youth work and experts in the field of entrepreneurship. The main themes approached during the sessions of the training are: Designing educational programs for youth; Creative problem solving; Business simulation games; Developing non-formal educational methods in the field of youth entrepreneurship; Development of skills for successful interaction and teamwork; Development of skills for effective communication in learning environments; Development of skills to use non-formal learning and interactive teaching methods as tools for training. During the first part of the training, participants have developed their skills as trainers in the field of non-formal education. The training started by building a common ground on what is non-formal education and the features under which this type of education takes place. 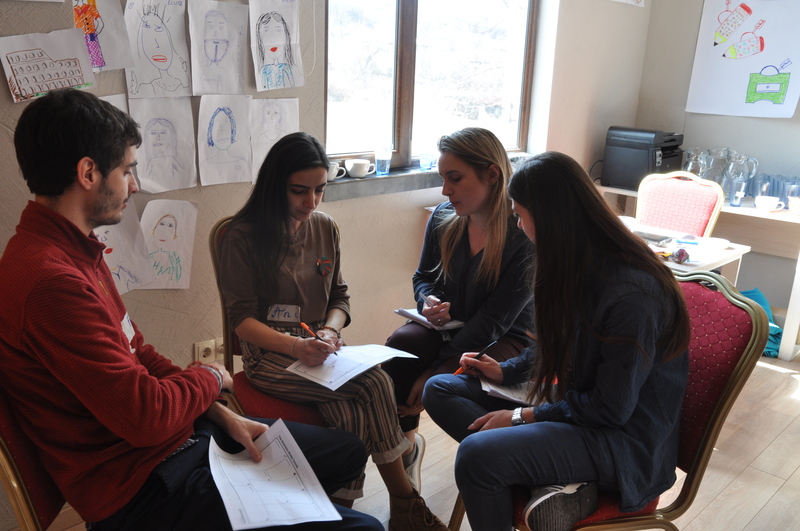 Next, participants have discovered group dynamics principles and how the learning experience takes place. Participants had the chance to explore the different learning theories and learning styles. Furthermore, participants have discovered a variety of non-formal educational methods that can be used when organising learning activities for youth. Each participant practiced their ability to deliver a speech trough a creative session where they had to prepare speeches on a given topic. It was a nice surprise to see the amazing public speaking skills that participants have and the emotions they were able to transmit to the audience. The participants discovered as well how to improve their creative thinking skills and different techniques meant to unleash ideas, as well as techniques used to generate new ideas for businesses. In the next part, participants have developed their competences in the field of entrepreneurship. They have acquired new knowledge on what it means to be entrepreneur, basic knowledge of finances, business models and other specific knowledge in the area of business and entrepreneurship. The third part of the training challenged participants to put in practice their new acquired competences and to create non-formal education methods that aim to provide entrepreneurial competences to youngsters. 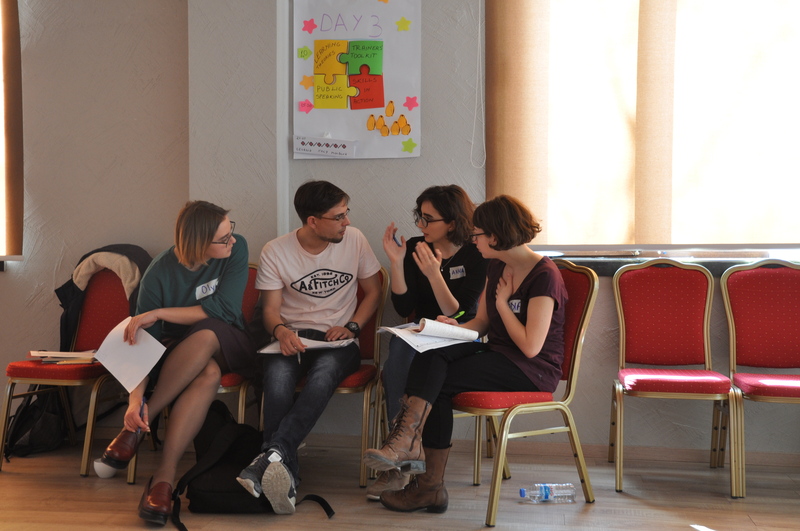 In the next months, participants will be trainers at local level in their countries and they will deliver workshops for young people based on the methods they created. During the training, participants also met with the representatives of Telavi and Kvareli municipalities from Kakheti region of Georgia. During the official meeting, participants asked questions to the officials to find out what are the plans of the local authorities to support entrepreneurship at local level. Participants shared the situation concerning youth entrepreneurship in their communities and shared the common challenge present in their communities: the brain drain. The current project aims to brings solutions to this problem on a long term by enhancing young people entrepreneurial potential and enabling them with the skills needed to develop a business that uses the local potential. 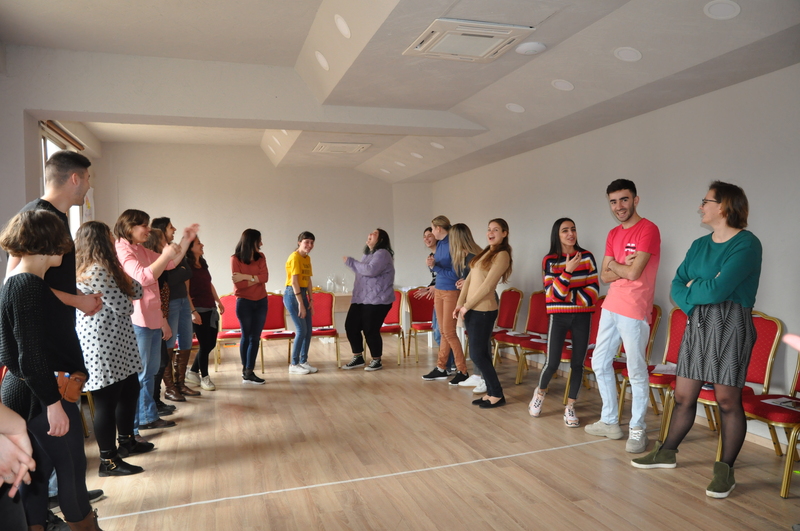 Apart from the educational part of the training related to the topic, the participants discovered Georgia and its culture. Participants learned how to cook “Khincali” and “Churchkhela” two of the most known Georgian traditional foods and sweets. They also attended a “Supra” – Georgian traditional dinner where they tasted amazing foods and felt the local spirit and hospitality. Participants created new friendships among them and enjoyed a good atmosphere. Day by day participants have changed and improved themselves as trainers and as persons. At the end of the two weeks everyone there was a better person, with new ideas and inspiration to continue improving at personal and professional level. The power of non-formal education and on this type of trainings lays in the holistic transformational experience offered. The training course “Tools for promoting youth entrepreneurship” is one of the main activities of the KA2 project “Young Entrepreneurs for Community growth” coordinated by AISI Youth Alliance and implemented in partnership with youth organisations from five other countries: Poruch from Ukraine, Cilento Youth Union from Italy, Creatorii from Moldova, ADEFIS Juventud International from Spain and Armenian Progressive Youth from Armenia. 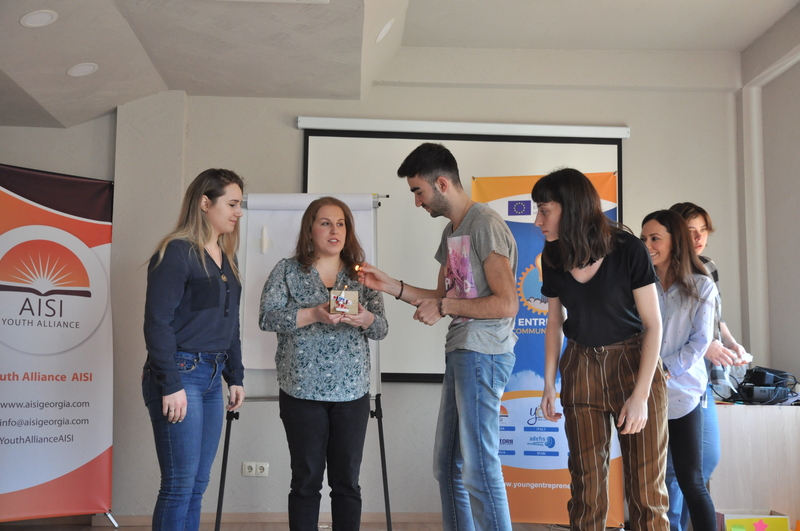 Young Entrepreneurs for Community Growth represents a Capacity Building in the Field of Youth project, Eastern Partnership Youth Window projects co-funded by the Erasmus+ Programme of the European Commission.